Caption Slip reads: "Photographer: Mack. Date: 1957-11-11. Reporter: Farrell. Assignment: British ambassador. 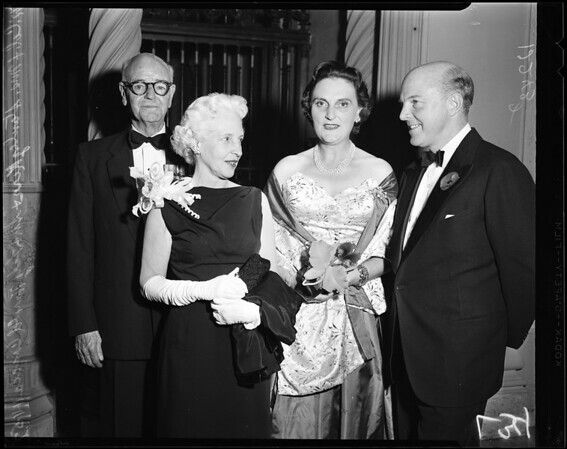 34: Sir Harold Caccia, Lady Caccia, right, and Mr. and Mrs. Lt. Col. Stanley R. Kerr, president of hosting British United Service Club of Los Angeles 17/18: Sir Harold Caccia and wife."